A fairly new distillery in Buffalo New York at the Barrel Factory near Silo City. Using a bewildering complex ( even to me) copper column still they produce a variety of spirits. 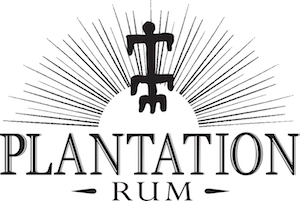 I should also point out that they use local grains and make all their own distillates – no GNS or shortcuts here. They are even working on their own strains of local yeast. One of the more interesting facets of their environmentalism/green creed is a 5000-gallon cistern/tank underneath the distillery that recycles cooling water to heat the building and use for many other applications as needed – which is a possible first for a distillery in New York state. Taste: More of a new style Genever than a London Dry because the grain base still weighs in with a lot of flavor. 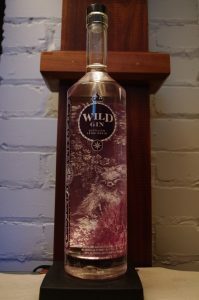 Wild Gin is not one of those distilled to death ( of flavor at least) gins. Which is refreshing to me. It has a earthy herbal base coupled with a heavy malt grain accented by the rose and marzipan of the mahleb making for an entirely unique taste. Bottle: Tall cylindrical bright clear glass with a distinctively sloping shoulder, unlike the rounded shoulders of many bottles of this general configuration. The neck of the bottle is a good length affording a comfortable grip, and the bottom has a solid decanter type thickness so it is nicely balanced and stable. 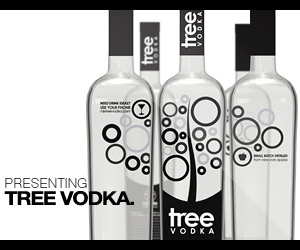 The labels are directly silkscreened on the glass bottles. Overall color scheme is a Lilac purple and has a drawing of a fox reverse painted on the back label Synthetic black corks with clear plastic shrinkwrap complete the overall attractive and easy to spot package. Other: A more earthy style than the Evergreen Gin. Another one of their gins that could lead to some new and delicious cocktails and making your own unique contribution to mixology. Final Thoughts: Overall a very well made Genever type gin. Beats the New Bols Genever and many others hands down.